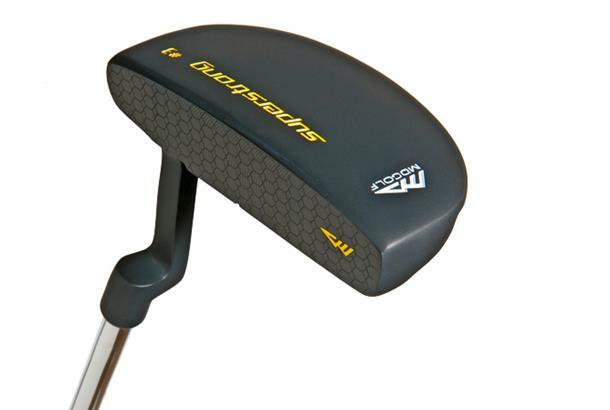 As reviewed in our 2014 Putters Test: A modern design, performed quite well. There‘s a lot going on up top, which was distracting. Felt like one of the heaviest putter heads on test. Good alignment system, matching up the two middle crown lines helps you stand the correct distance from the ball. Balls sounded dull off the face, but came off relatively hot. Firm feel. Certainly feels heavy in the head. Milled face seems to enhance roll.